SOS “Speed & Sound” weekend!!! 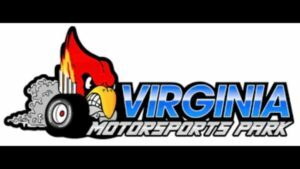 Team Money Cycles will be hosting the XDA/ Biker Bash Weekend at Virginia Motorsports Park!!! On Saturday August 24th join @sstakeover and @team_moneycycles as we host BAGGERS vs SLINGSHOTS in head to head SOUND OFF Battles!!!! Who are you representing??? The Baggers or the Slingshots?? Sunday August 25th join us for the SOS “King/Queen of the Hill” Sound Off and Custom Bike Show!!!! King/Queen of the Hill is when to motorcycles pull into the lane for an all out audio assault!!! The winner stays in the ring, the loser can head back to the trailer!!! Just like drag racing folks!!!? We will have a custom bike show folks so make sure you have those cruisers, sport bikes, baggers, Can-Am and more shined up and looking good!! !